The platinum group metal rhodium is the rarest and most valuable stable metal on earth. It is needed in many chemical applications as a catalyst, like for example in the industrial production of acetic acid. Therefore rhodium is very expensive and its price fluctuates strongly. In catalytic converters, it reduces the amount of toxic material that arises from the combustion. 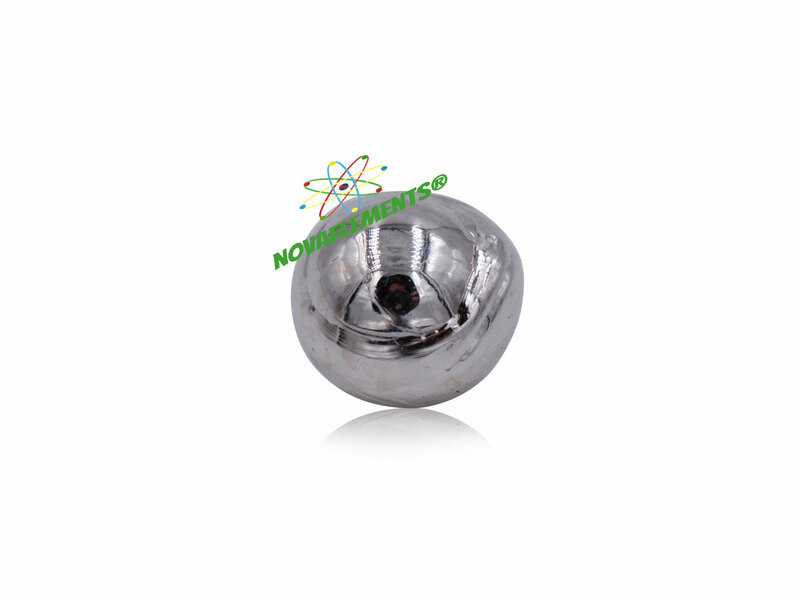 Rhodium is furthermore used for plating high-grade mirrors and jewellery. Rhodium is very hard, ductile and noble. High purity Rhodium pellet, very rare rhodium sample 4N 99,99%, 0.5 gram in beautiful glass vial with label. Pure element 45 sample.